Terrorism became personal for Mike Walton on his last mission―a mission that resulted in triumph...and devastating tragedy. Now the stakes have been raised again. Mike and his wife Lisa―both covert assets of the International Market Stabilization Institute, a privately funded organization operating outside official channels to protect North America's financial interests―are sent to Russia after an attempt on their superior officer's life. It is a mission fraught with peril and one that becomes exponentially more dangerous when their covers are blown within hours of setting foot in Moscow. Now, they are being hunted down by the Sheik, the terrorist mastermind behind the kidnapping of Mike's father, Ray Powell, and to the treachery that turned Mike and Lisa's lives upside down. To make matters worse, there are clues that Biopreparat―the former Soviet Union biological warfare agency―has been resurrected and is about to launch a strike against the United States. This forces Mike and Lisa to make the most difficult choice of all. With Ray Powell's life hanging in the balance, and the slightest mistake potentially igniting the next World War, nothing is what it seems. 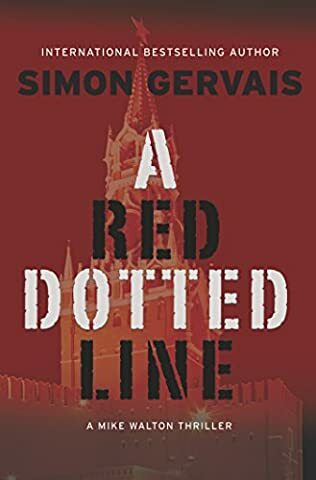 Simon Gervais is a former federal agent who was tasked with guarding foreign heads of state visiting Canada. Among many others, he served on the protection details of Queen Elizabeth II, US President Barack Obama, and Chinese President Hu Jianto. He has also protected the families of three different Canadian prime ministers. Prior to this, Simon spent five years in an anti-terrorism unit and was deployed in many European and Middle Eastern countries. As you can imagine, this makes his thrillers stunningly real. Cassandra's Review- Yes, you are getting a remarkable book with a blend of great details and suspense. I think the author wrote such a new take in the realm of thriller fiction that I was able to read the book without thinking hmm, this sounds familiar. This is a book for the grownups.